This is on WSE 2016. So I thought I'd go about it another way—through MMC. 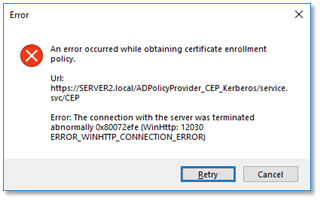 This error manifests under both Windows Integration and Username/password authentications, as well as when run on both the server and the workstation on which the certificate will be installed. I've run MMC under the context of the domain admin, and also the workstation's local machine admin. I think I'm out of tricks. How can I get at that new 'SAN Web Server' template? 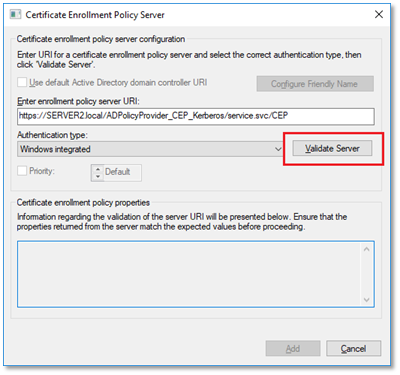 The user logged into the certsrv site needs to have both Read and Enroll permissions on the certificate template. If they don't, it won't show up in the list of available templates. 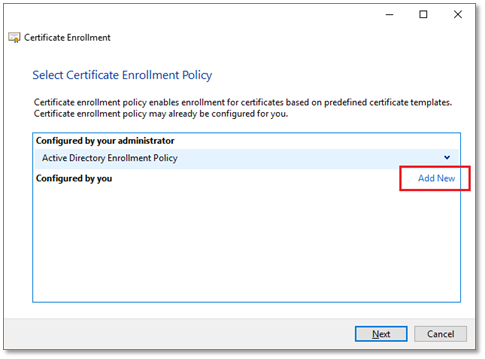 Then on the Select Certificate Enrollment Policy page, select Active Directory Enrollment Policy. I was trying to add a template to the policy list. Wrong context. You also have to make sure when requesting the cert that you've selected Computer account, not My user account or Service account (Step 2). Otherwise the template(s) you need won't be displayed. Not the answer you're looking for? Browse other questions tagged certificate-authority windows-server-essentials or ask your own question.